Sep 11, 2015 in "Osborne Family Spectacle of Dancing Lights"
Disney today announced that 2015 will be the final year for the Osborne Family Spectacle of Dancing Lights. Disney's Hollywood Studios is about to enter a period of major transformation, and it is expected that the Streets of America, the home of the lights, will be removed as part of the redevelopment of the park. 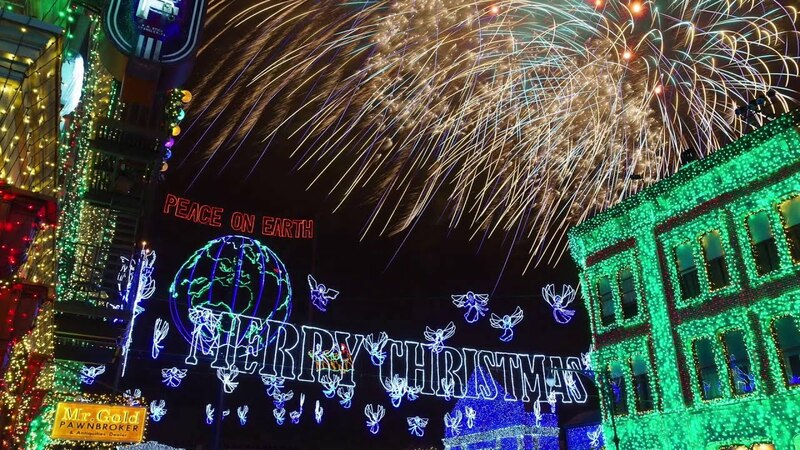 The Osborne Family Spectacle of Lights was born at the Osborne home in Little Rock, Ark., in 1986. That year, Jennings Osborne strung a modest 1,000 red lights as a holiday gift to his 6-year-old daughter, Breezy. She had asked her father to make their house sparkle with holiday lights. Thus, a new tradition was born. 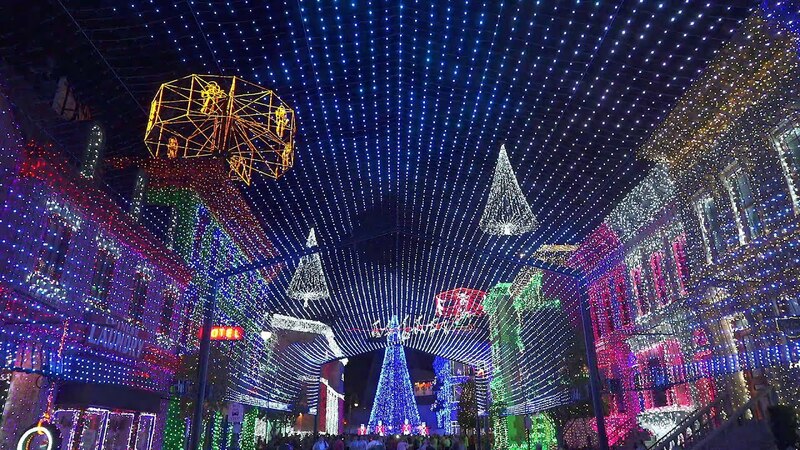 In fact, Osborne’s dream kept growing until 1993, when he strung more than three million lights. His 22,000-square-foot home, bathed in bulbs, was the site of curious sightseers and long lines of traffic - crowds too large for those who lived in the neighborhood. Calling his display a nuisance, Osborne’s neighbors took legal action - all the way to the Arkansas Supreme Court. Shortly after the court battle, Osborne packed his bulbs and took them to Walt Disney World Resort, where they were displayed on Residential Street through to 2002. In order to make way for the new stunt show, Residential Street was removed. This left the Osborne Lights without a home for a year until 2004 when the display returned to the Streets of America. Announcement of the closure from the Official Disney Parks Blog. "As you plan ahead, we also wanted you to know that this holiday season will mark the finale for The Osborne Family Spectacle of Dancing Lights. 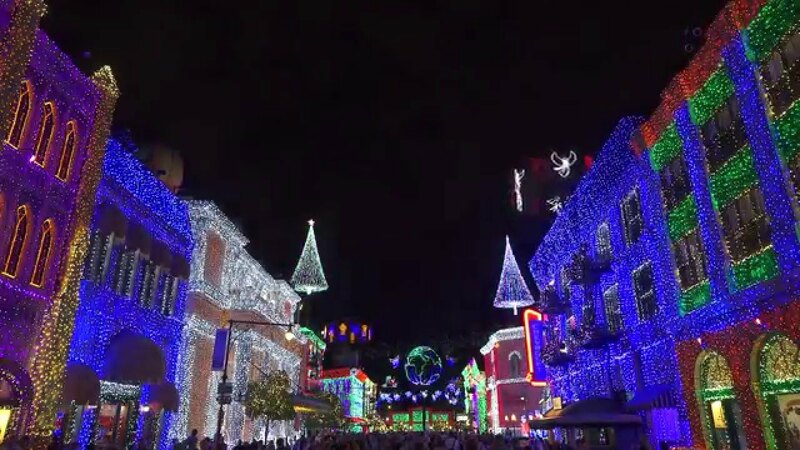 The display of lights has enjoyed a successful run at Disney’s Hollywood Studios, going all the way back to when it first appeared on Residential Street. In order to prepare for some incredible experiences coming to the park, including the recently announced Toy Story Land and a Star Wars-themed land, we will not be able to present The Osborne Family Spectacle of Dancing Lights in the future. Our heartfelt thanks go out to the family of Jennings Osborne for letting us share their family tradition year after year. And thank you to all of you for being part of the spectacle with us. Here’s to making more memories in this, the 20th and final year."